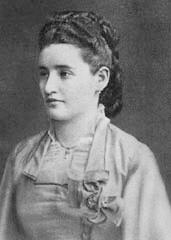 The case of Anna O. is considered to be the founding case of psychoanalysis by Freud himself, even though she was Josef Breuer's patient. Breuer treated Anna O. for hysterical symptoms in 1880-81, using hypnosis among the techniques for overcoming the symptoms. The procedure included Anna telling stories related to the causes of her illness, which had the effect of draining off the accumulated energies and relieving (temporarily) the symptoms (she favored the basic form of folk or fairy tales). The point of special interest is in the following comment in Breuer's case history. "She aptly described this procedure, speaking seriously, as a talking cure, while she referred to it jokingly as chimney-sweeping. She knew that after she had given utterance to her hallucinations she would lose all her obstinacy and what she described as her energy." A note in the text states that the italicized words are in English in the original. The significance of this usage is modified by the fact that, although Anna's native language was German, during significant periods of her illness she only was able to speak in English. She was fluent in several more languages, including French and Italian. The point for now concerns this "joking" reference to "chimney-sweeping." That it is "joking" indicates Anna's familiarity with the French meaning. Anna's treatment was occuring contemporaneously with the beginnings of the avant-garde movement just developing in bohemian Paris (Montmartre). The counter-culture attitude and related parodic productions of the cabaret settings were labelled with this term, fumiste, fumisme. In French, besides the literal "chimney-sweep," the term's connotations include "joker" and "charlatan." It names an attitude of "disdain expressed through aggressive hoax," the culminating prototype of which is Duchamp's anonymous submission to an art exhibition of "Fountain" (the upside-down urinal). Retrospective analysis of the era established the connection between psychoanalytic and experimental modernism, of course. The specific convergence is between dreamwork as conductive logic and collage "bachelor machine" poetics, a convergence made explicit and systematic in Surrealism. That the term "chimney-sweep" appears in the semantic domains of these two institutional settings is suggestive in several ways. One entailment is that the Parisian vanguard in its parodic assaults on the established conventions of art is a kind of "talking cure" for a paralyzed civilization. The existence of the shared term implies that such transversals lend themselves to database searches using conductive criteria. Fumisme was not just for artists, but names an attitude generally available in the period. I was familiar with this case and the phrase "talking cure." I did not know that Anna O. also called it "chimney-sweeping." I was motivated to reread the Breuer case history by coming across a book in my office (untouched for years), an overview of early anthropology. The entry on Freud in the TOC has as its subtitle "Chimney-Sweeping," and the short chapter begins with a reference to the Anna O. case history. I opened the book looking for a quick summary of oral apparatus cognition, totemism and the like. "A chimney-sweeper can either be a chimney-sweep (the person who sweeps the chimney) or the brush they use for their job. The brush bears some resemblance to a dandelion when it's gone to seed, which is why, in Warwickshire around Stratford-on-Avon, the locals call them "chimney-sweepers". Before the dandelions turn to seed,when they're yellow, they're called "golden boys and girls"